A campaign is being launched to encourage children to surrender 30 minutes of screen time a day to head for the great outdoors. The newly formed Wild Network – a collaboration of nearly 400 organisations – is attempting to attract youngsters away from television and computer screen and into fields, woods and parks. 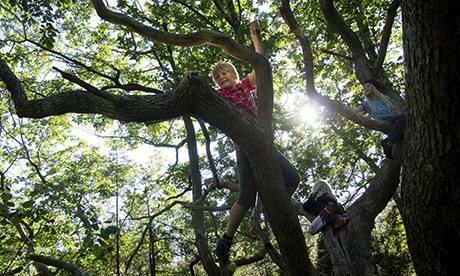 Organisers say it is the UK’s biggest ever campaign to reconnect children with nature and outdoor play, and claim it could help improve fitness, mental alertness and general wellbeing. A documentary film, Project Wild Thing, will herald the launch at more than 50 cinemas across the UK from Friday. It looks at the increasingly fragile link between children and nature. Article taken from the Guardian newspaper today. To read more click here.